June 23, 2016 – A group of University of Colorado Boulder faculty and students are anxiously awaiting the arrival of NASA’s Juno spacecraft at Jupiter July 4, a mission expected to reveal the hidden interior of the gas giant as well as keys to how our solar system formed. Launched in 2011, the spacecraft is slated to orbit Jupiter’s poles 32 times roughly 3,000 miles above its cloud tops to better understand the origin and evolution of the largest planet in the solar system. Scientists hope to determine if Jupiter has a solid core, measure the planet’s magnetic fields, hunt for water vapor and observe the polar auroras. As the bruiser planet of the solar system, Jupiter is 320 times the mass of Earth and holds 70 percent of the mass of all the solar system’s planets. Scientists believe Jupiter may have had a significant influence on the evolution of the solar system. One of the biggest questions that remains about Jupiter is how much water there is in its atmosphere, since water was a big player in solar system evolution said Bagenal, also a professor in CU-Boulder’s astrophysical and planetary sciences department. 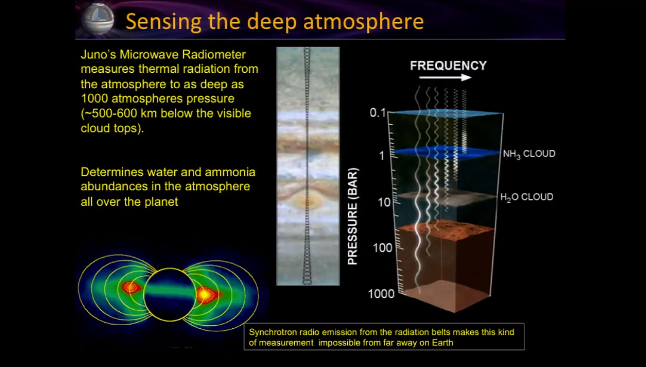 Measuring the amount of water on Jupiter is critical to the mission because when the Galileo probe visited Jupiter in 1995, it detected very little water and so far, scientists haven’t been able to construct a model for how Jupiter might have formed with such a low presence of water. 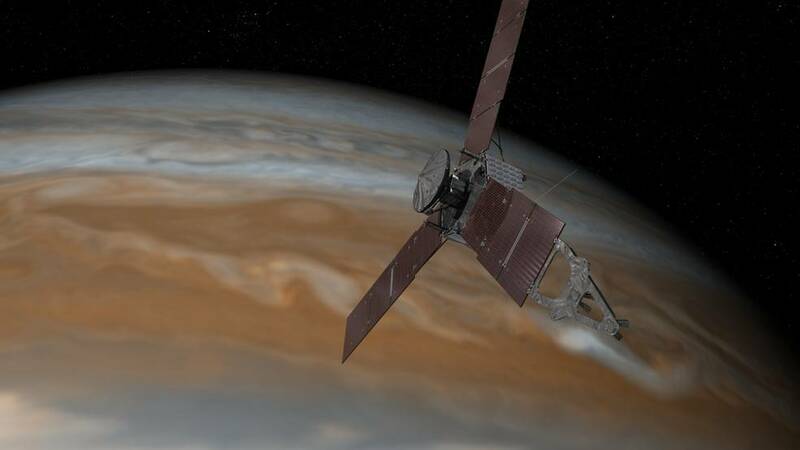 Many scientists feel that it’s more likely that the probe measured a particularly dry spot of the planet (as a probe might measure the Sahara desert and miss the oceans if it were visiting Earth), but Juno will confirm the global water abundance and scientists will be better able to determine how the planet, and other planets, evolved. In addition to Bagenal, LASP Professor Robert Ergun and Research Associate Robert Wilson are part of the Juno science team. Ergun, an expert on Earth’s magnetosphere and associated polar auroras, will be comparing the physical processes at Jupiter with those on Earth. Wilson is a member of the JADE instrument team that will be using Juno to detecting and analyze the electrons and charged particles that produce Jupiter’s bright auroras. Bagenal also has worked on five other NASA planetary missions, including the Galileo mission that carried two LASP instruments. She also is the Particle and Plasma Team leader for the New Horizons mission that passed by Pluto last summer and is now heading into an icy region called the Kuiper Belt beyond Neptune’s orbit.